Your editorial cycles shouldn’t have to wait on antiquated workflows. Fastly powers modern digital publishing with instant global updates to cached content, real-time visibility, and easy integration into your existing content management system (CMS). Don’t be limited by traditional CDNs. Deliver the latest news, media, and entertainment on your terms with Fastly. 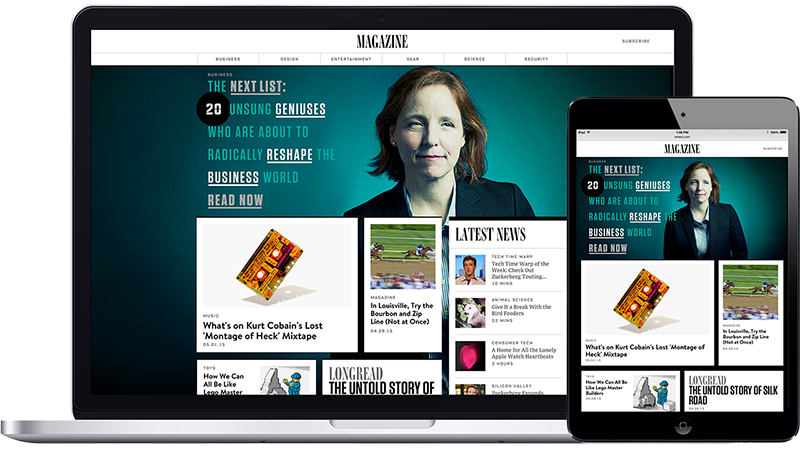 WIRED included Fastly in their website redesign to help speed up page load times and ensure that their global readership sees the latest updates as they happen. Editors can now make instant updates to articles and increase reader engagement by offering curated content with quick-scan headlines and a unified experience across devices. Add, remove, or update content instantly from within your existing CMS workflow. Deliver a consistently fast, rich media experience to visitors — even during high traffic. Configure paywall validation or token-based authentication at the edge to improve response time. Fastly supports the development of open source Varnish plugins for leading CMS platforms, enabling you to seamlessly manage Fastly from within your existing environment.